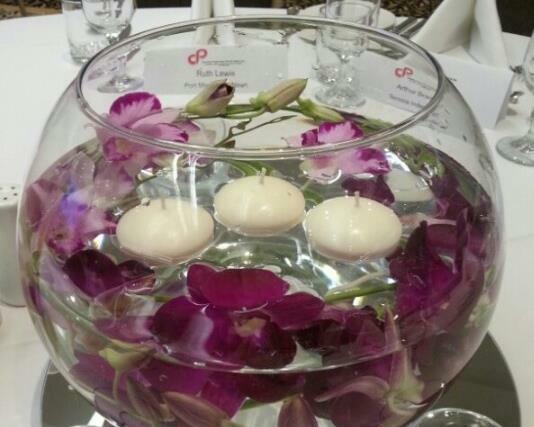 The Venue Decor Package can be setup the day before or early morning of your wedding day. 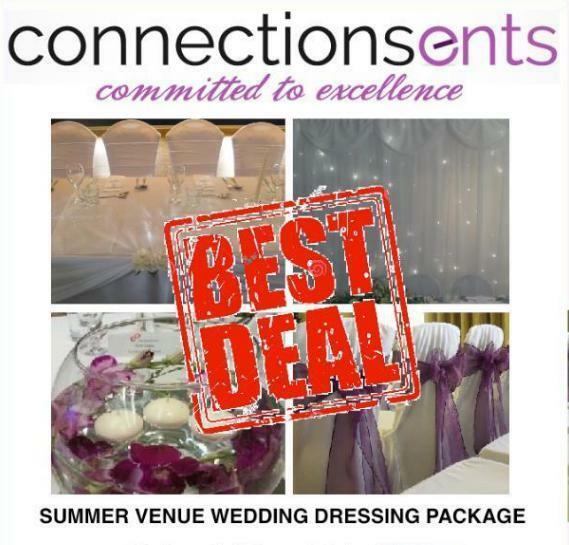 The package includes 80 x lycra chair covers and sashes which can be can be coloured & matched to your requirements. 3 metre x 6 metre white starlit backdrop will be erected behind your top table ( a 13amp power source will be required). A Top table swag matching your chair sashes will be attached to your top table including 8 x table runners & 8 x fishbowl flower head centrepieces + mirror plates, and 4 x up lights coloured to your choice. The Venue Decor Package can be setup the day before or early morning of your wedding day. 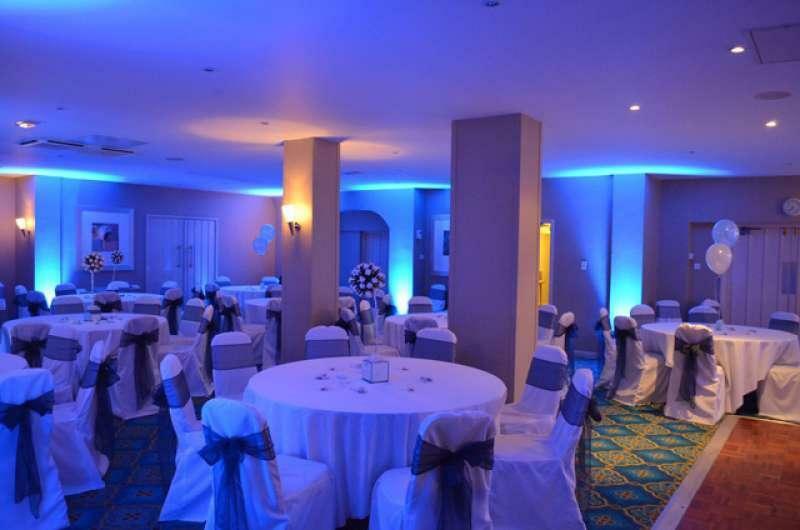 The package includes 80 x lycra chair covers and sashes which can be can be coloured & matched to your requirements. 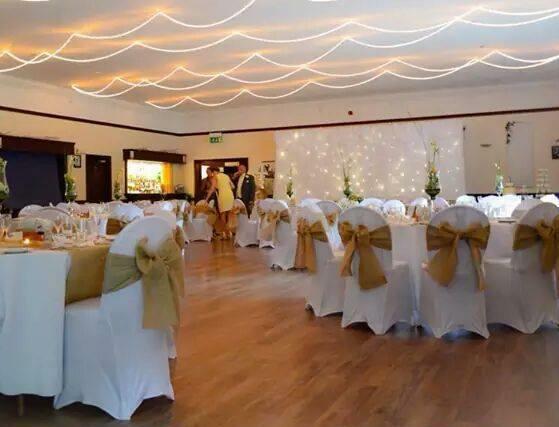 3 metre x 6 metre white starlit backdrop will be erected behind your top table ( a 13amp power source will be required). 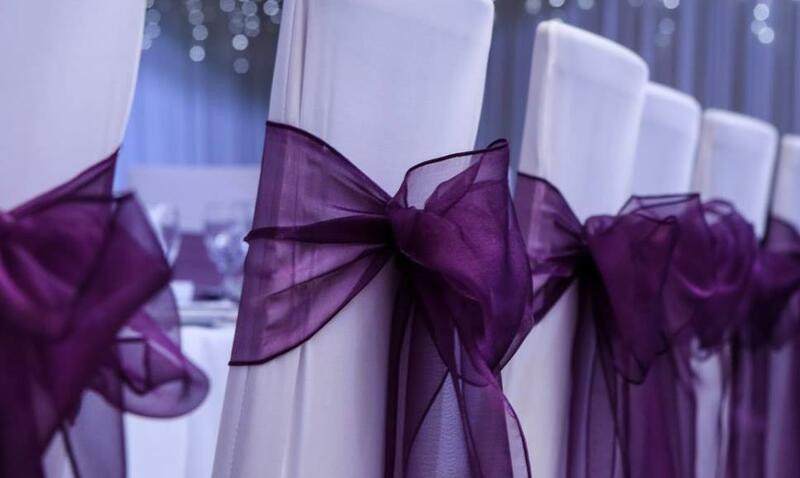 A Top table swag matching your chair sashes will be attached to your top table including 8 x table runners & 8 x fishbowl flower head centrepieces + mirror plates, and 4 x up lights coloured to your choice. All this included in one amazing price, saving yourself £190 in the process.